The website eccireland.ie is owned and operated by the European Consumer Centre (Ireland), a company limited by guarantee (company number 367035) and registered charity (number 20048617 – CHY14708), operating at the MACRO Building, 1 Green Street, Dublin 7. 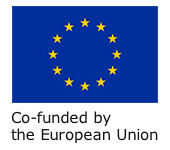 As part of the European Consumer Centres Network (ECC-Net), ECC Ireland is co-funded by the Competition and Consumer Protection Commission and the European Commission’s Directorate-General for Justice and Consumers. This website should not be used as a substitute for the law. The information in this website is for general guidance on your rights and responsibilities as a consumer and is not to be construed as legal advice. ECC Ireland uses all reasonable efforts in preparing and providing quality information for guidance purposes but does not guarantee the completeness, adequacy or currency of the information contained in or linked to this website. ECC Ireland accepts therefore no liability or responsibility whatsoever for matters arising from any errors or omissions with regard to the information on this website. If you notice any errors or omissions on the site, please let us know as soon as possible. We endeavour to correct errors within a reasonable period of time. Information contained on this website is the copyright of ECC Ireland unless otherwise stated. ECC Ireland authorises the reproduction, publication, copy, broadcast and / or translation of the information for licit purposes, provided that the source is acknowledged and the copyright of ECC Ireland indicated. The information must not be used in a misleading way or primarily for commercial purposes. ECC Ireland is not liable for the re-use of information. The purpose of the Consumer News Round-up section is to give the visitor links to other websites which provide consumer-related information. ECC Ireland uses its best efforts to enhance consumer awareness and invites all distributors of consumer news across media in Ireland to facilitate the link to the relevant webpage. ECC Ireland may remove the links on this section at any time since the information is updated regularly and ECC Ireland cannot currently provide for an archive of external resources. Any opinions, statements or other information expressed or made available on external webpages do not necessarily reflect those of ECC Ireland since ECC Ireland is not responsible for content on external webpages. ECC Ireland neither pays nor gets paid for the inclusion of links to external webpages. Links included on this website to other websites or web platforms operated by third-parties are provided solely as a convenience to the user and do not constitute any endorsement, authorisation, sponsorship or affiliation by ECC Ireland of such sites, their owners or providers. ECC Ireland does not own, control or monitor such sites and is not responsible for the availability of or content on such sites.